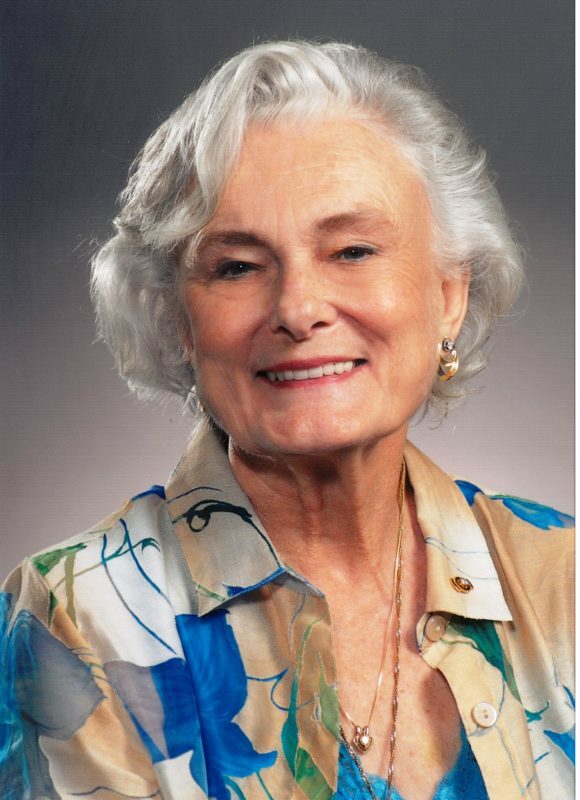 Maryly VanLeer Peck, a University of Florida Distinguished Alumna, was a woman of many “firsts” throughout her academic and professional career. She made history as the first female to earn an engineering degree from Vanderbilt University in 1951. She continued her momentum at the University of Florida, where she became the first female to graduate with a master’s degree (and later on, a Ph.D. degree) in chemical engineering. She was also the first woman to lead a Florida community college (Polk Community College) as president, and was heavily involved in the student chapters of Society of Women Engineers (SWE) around the state. Maryly VanLeer Peck passed away in 2011. Maryly VanLeer Peck of Winter Haven and Palm Beach Gardens has influenced many lives as an educator, administrator and pioneer for women in science. With more than 45 years of experience in chemical engineering, government research and university administration, Dr. Peck exemplifies the concept of servant leadership. As a pioneer in the field of engineering, she has been a lifelong advocate for women in science. She comes from a family of engineers, and holds three degrees in chemical engineering: a Bachelor’s degree in chemical engineering from Vanderbilt University in 1951, a Master’s of Science in Engineering from the University of Florida in 1955 and a Ph.D. in engineering from the University of Florida in 1963. Dr. Peck serve[d] on the boards of various schools and other organizations that assist young people and provide scholarships for worthy students. She was awarded the 1995 “She knows Where She’s Going” award by Girl’s Inc., and the 2002 Community Service Award by the Junior League of Winter Haven. In 2005, Dr. Peck was honored as Lake Region Citizen of the Year by the Gulf Ridge District of the Boy Scouts and awarded the National Community Service Award by the National Society of the Daughters of the American Revolution. She has been honored as a Distinguished Alumnus of the University of Florida. In 1982 Dr. Peck was the first woman chosen [to become] a Florida community College president and served as President Emeritus of Polk Community College. She was the founder and dean of the Community Career College of the University of Guam, which is now the Community College of Guam. In 1989, Dr. Peck was the first women to be admitted into membership of the Winter Haven Rotary Club and later was the first women to be elected President of that Club. In 2002, she led a Rotary Group Study Exchange to Iwate, Japan. Dr. Peck organized most of the student chapters of the Society of Women Engineers (SWE). She has received numerous civic awards, local honors and appointments for her selfless efforts and involvement in youth activities and helping those in need.